Austin Startup Week, now in its seventh year, will take place this year from October 9 – 13. From educational panels to meetups and workshops, it’s a great opportunity to learn about the startups taking shape in Austin and the people behind them. The event is free (although this year attendees have the choice of making a donation that will support pre-accelerator DivInc) so the focus is on networking and learning, not flashing badges. We talked to some of the event presenters and startup gurus to get a sense of what trends to keep an eye on at this year’s event, and which panels and meetings should not be missed. 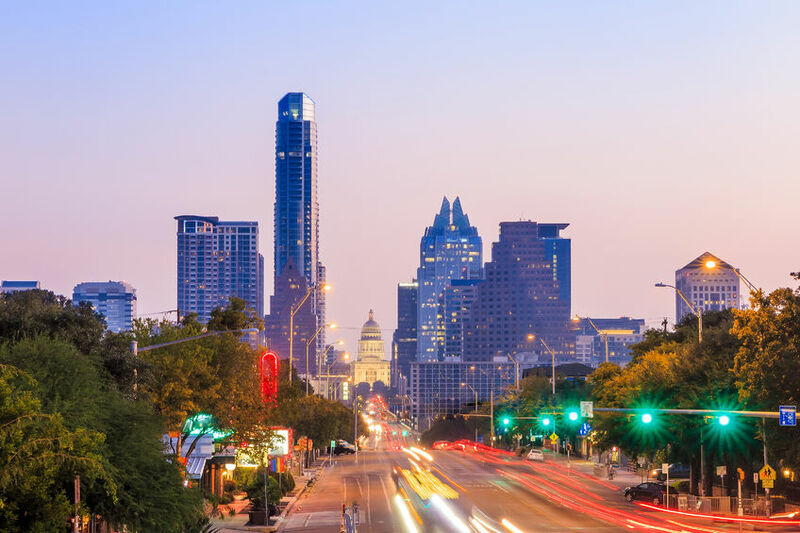 O’Brien says that Austin is beginning to develop its own core strengths in innovation, separate from the identity of Silicon Valley or other innovation hubs. This week’s Austin Startup Week schedule shows an increasing focus and commitment to those strengths, he says. Data science is a combination of scientific fields that brings together areas like statistics and data analysis to better understand what data tells us about trends and events. Along those lines, MediaTech Venture is co-hosting a group of media industry thought leaders including the Austin American Statesman’s Omar Gallaga and Lyn Graft from Storytelling for Entrepreneurs. The goal, O’Brien says, is to expose and share with Austin the breadth and importance of media in all forms. During Startup Week, the new Studio for Startups is also hosting interviews with venture capitalists, journalists, founders, and local leaders, O’Brien says. While it’s not technically an open event, he says people who are curious can come watch. The studio will be producing the week as a series of podcasts for Austin. More media-related events include Content Creation for Entrepreneurs to Drive Engagement, Marketing Your Brand Story Digitally, Shifting Consumer Behavior to Create Social Change Through Story, Action, and Content. Another event O’Brien recommends is taking place Tuesday night, and addresses how current politics are affecting tech startups. It’s a “discussion that I think is critically important given all the city has been involved with regarding debates over ridesharing and short term rentals in a challenging sense; and fostering innovation in a supportive sense, as well as how it pertains to federal legislation issues,” O’Brien says. Ashley Conway, who works with AI startup NarrativeDX, a platform that shows patient reviews and commentaries about hospital experiences in real-time, echoes O’Brien’s point about data science emerging as a big theme this year in Austin – and beyond. Beyond data science, health tech in general is having a big year at Austin Startup Week – hardly surprising given the new Dell Seton Medical School’s presence in Austin. Diversity is also emerging as a theme in this year’s event. Veronica Martinez, founder of the Better Beehive Project, is a co-organizer of ATX Hispanic Hackers. That group will have an event at Capital Factory during the week. And a Diversity in Tech panel and an Austin Diversity in Startups showcase are also taking place during the week. The Internet of Things (IoT) is another nationwide trend that will have some local representation during Austin Startup Week. Kevin Cassidy, an account executive with IoT company ClearBlade, says it’s not just IoT itself but technologies that work with it and enable people to use it in new ways that are trending among startups in Austin and beyond. One of those is Edge Computing, a method of collecting and processing data right at the source of that data, without sending it to a central datacenter. ClearBlade, which provides platforms for manufacturing and industrial businesses, will be participating in the Austin Startup Crawl.